Popup Marquee Australia is the trading name owned and operated by Shade Australia Pty ltd. Popupmarquee.com.au operates and accepts orders on the basis of these standard trading terms. By placing an order with Popup Marquee you are accepting these terms and agreeing to be bound to and by them. If you have questions regarding any point or clause contained here you should contact us directly. We fulfil all orders and services based on the assumption that you have read, understood and accepted these terms of trade. 1.1. Conditions means these general conditions and any other condition agreed in writing by Popup Marquee and the Buyer. Contract means the agreement formed by the offer constituted by the Order and the acceptance of the Order by Popup Marquee. Contract Price means the price for Goods and/or Services specified in the Contract (including GST), including all matters that could reasonably be expected to be necessary to provide the Goods and/or Services. International customers may be exempt from paying GST however may have to pay other duties as per the law. Document includes facsimile and email transmission. Federal law means the laws of the Commonwealth of Australia. Goods means the goods, equipment, services and other material agreed to be sold and purchased pursuant to the Contract and includes, all goods and services listed for sale on this internet site. intellectual property right includes any patent, design, copyright, or right of any nature in respect of ideas, concepts, inventions, methods of manufacture or any process. Order means the order by the Buyer, made pursuant to clause. 1.2. Person includes body corporate and unincorporated association. Quotation means a written or electronically generated price given by Popup Marquee to sell Goods and/or to provide Services. Installation: Prices displayed do not cover any aspect of installing the goods. Shipping: Means the costs charged by Popup Marquee in order to deliver the goods to the Buyer. State law means the law of New South Wales and any other State or Territory of Australia which is applicable to the Contract. Popup Marquee means Popup Marquee Pty. Popup Marquee of the Contract Price; (b) or by any other method accepted by Popup Marquee. (c) A contract or agreement is deemed to be in effect between Popup Marquee and the Buyer upon payment of monies to Popup Marquee by the Buyer. 2.2 Popup Marquee must sell and deliver the Goods and/or provide the Services to the Buyer and the Buyer must buy and pay for the Goods and/or Services from Popup Marquee. 2.3 The Buyer must pay all applicable goods and services taxes, industry levies and other taxes, duties and imposts in respect of the sale or delivery of the Goods (whether in Australia or any other jurisdiction). 2.4 Full ownership of all Goods not paid for in full within 1 month of order will revert to Popup Marquee. 3.1 The Buyer must pay the Stated Price, pursuant to the terms of payment specified in the quotation price. 3.2 All custom-printed & made-to-order goods require part payment in advance by the Buyer with balance paid in full upon dispatch unless extended payment terms have otherwise been agreed to. 3.3 If the Buyer does not pay Popup Marquee on the agreed date or breaches any term or condition of the Contract or a resolution is passed or proposed or an application is presented for the winding up of the Buyer, or an administrator, receiver and/or manager is appointed in respect of the Buyer or the Buyer is or becomes (or is taken by any law to be) insolvent or makes or proposes to make any arrangement with its creditors or execution is levied on any part of the Buyer’s assets, Popup Marquee may (at its option and with or without notice to the Buyer) do any or all of the following without prejudice to any other rights Popup Marquee has under the Contract: (a) withhold deliveries of the Goods (whether or not in transit) and/or provision of Services; (b) immediately recover possession of and/or resell any Goods, (c) terminate the Contract and/or any other agreements between Popup Marquee and the Buyer. 3.4 The Buyer must, on demand by Popup Marquee, pay to Popup Marquee default interest at the rate of % per annum on any moneys due but unpaid. Interest is calculated on a daily basis from the due date for payment until the actual date of payment and compounds on the last day of each month. 4.1 Unless otherwise agreed to by the parties in writing: (a) if not specified in the Contract, delivery of the Goods and/or provision of the Services may be effected in the manner chosen by Popup Marquee; (b) Popup Marquee ships nationally and internationally with courier and freight companies. If goods become lost in transit the Buyer is responsible for dealing with the freight company in respect of lost goods. Popup Marquee does not always insure goods in transit and if the Buyer wishes to have the goods insured whilst in transit they should advise Popup Marquee prior to dispatch whereupon the additional charges will be passed onto the Buyer. (c) Popup Marquee's responsibility for delivery and/or provision ceases when the Goods and/or Services are dispatched from their premises. 4.2 Risk in the Goods passes to the Buyer on delivery or on deemed delivery of the Goods as provided in the Contract, even though title remains in Popup Marquee. 4.3 The Buyer or its representative or agent must sign the delivery advice presented by Popup Marquee or its representative or agent. If the Buyer or its representative or agent is unavailable to sign or does not sign the delivery advice, Popup Marquee’s records are conclusive evidence of delivery at the time and place shown in Popup Marquee’s records. If the Buyer or their agent authorises the goods to be left in a deemed safe place and the goods go missing this is the sole responsibility of the Buyer. 4.4 When the Goods are to be delivered by instalments, each instalment is deemed to be sold under a separate Contract. If Popup Marquee fails to deliver an instalment within the time stated on the Contract or to deliver at all, the Buyer is not be entitled to repudiate the Contract in respect of any other instalments remaining to be delivered. 5.1 Legal and beneficial title in the Goods remains in Popup Marquee until payment in full for the Goods has been received by Popup Marquee in immediately available funds. 5.2 Until payment in full for the Goods is received by Popup Marquee; (a) the Buyer must hold the Goods on trust for Popup Marquee; (b) if the Buyer sells the Goods, the Buyer must hold its rights in respect of the sale proceeds on trust for Popup Marquee; and (c) Popup Marquee constitutes a separate class of the Buyer’s creditors for all purposes. 6.1 The Buyer does not obtain any rights in any intellectual property right used by Popup Marquee in manufacturing the Goods and/or providing the Services. 7.1 Regular maintenance of all goods must be undertaken by the Buyer in order that warranties be upheld and that the safe function of the goods be maintained. Failure to do-so may void any warranties and may cause the goods to malfunction. 8.1 The Buyer warrants that: (a) it has obtained all necessary engineering certification, consents, permits, licences and utility service plans necessary for Popup Marquee to deliver the Goods and/or provide the goods or Services in the manner contemplated (b) it has undertaken a proper assessment, including seeking professional advice, of the suitability of surfaces and/or existing structures to which the Goods may be affixed. 8.2 The Buyer acknowledges that: (a) Popup Marquee relies on the Buyer to make these assessments. 8.3 Popup Marquee is not liable for any damage, loss or expense, whether direct or indirect, arising out of provision of the Goods or Services. Popup Marquee accepts no responsibility what-so-ever for the manner in which the Buyer uses the goods. 8.4 In all cases the Popup Marquee Warranty excludes normal wear and tear, wind damage, commercial use, use of unreasonable force, failure of reasonable care, failure of maintenance (as set out in detail for each product), and incorrect assembly by the customer. The Popup Marquee Warranty applies only to the original purchaser from the purchase date, and only covers (subject to the terms set out below) manufacturing faults or defects which occur in normal domestic use. Where a claim is made pursuant to the Warranty Popup Marquee will, at their best discretion repair, refinish, replace, replace with a similar product or refund the product. Only the failed item will be replaced, not a complete setting. The Popup Marquee Warranty period is not extended in the event of a replacement. In the event of a refund, it will be for wholesale price only. The balance of the retail price will be the responsibility of the retailer. Our goods come with guarantee that cannot be excluded under the Australia Consumer Law (ACL). Such guarantees may include the right to remedy Popup Marquee if our products are not of acceptable quality or do not match any demonstration model or sample (as those terms are defined in the Competition and Consumer Act 2010 (Cth) (CCA)). Popup Marquee will not be liable for any act, default, omission or representation made by any person other than employees, alterations made to the products not performed by us, damage or defects due to unusual or non-recommended use, or damage or loss caused by any factors beyond our control. The customer is entitled to a replacement or refund for a major failure (as term is defined in the CCA) and for compensation for any other reasonably foreseeable loss or damage. The customer is entitled to have the goods repaired or replaced if the goods fail to be of acceptable quality and the failure does not amount to a major failure. Popup Marquee's total liability in respect of a claim by a consumer under the CCA for a minor problem (as defined in the CCA) with a product is limited, at our option to, providing the consumer with a refund, replacement product or repairing the product. Subject to the above paragraphs, all express or implied representations, conditions, statutory guarantees, warranties and provisions (whether based on statue, common law or otherwise), relating to this warranty, that are not contained in it, are excluded to the fullest extent permitted by law. Nothing in this warranty excludes, restricts or modifies any condition, warranty, statutory guarantee, right to remedy, implied or imposed by common law, statue or regulation, which cannot be lawfully excluded, restricted or modified. 9.1 Popup Marquee extends to the Buyer the manufacturers/importers warranties on its range of products. In the event of a warranty claim it is incumbent upon the Buyer to organise at their cost to ship the goods to Popup Marquees premises (or other nominated address) whereupon an assessment as to the validity of the claim will be made. If valid, Popup Marquee will arrange for the goods to be repaired or at the manufacturer/importers discretion, replaced and returned to the customer. The cost of any freight associated with a warranty claim is the sole responsibility of the Buyer. Some Federal laws and State laws imply terms and conditions into the Contract that are incapable of exclusion. All terms and conditions that are capable of exclusion and that are not expressly contained in the Contract are expressly excluded from the Contract. Labour and travel costs associated with Popup Marquee representatives travelling to and from the job in order to fix a warranty claim is not included in terms and will be charged to the Buyer at cost. Popup Marquee warrants that: (a) on payment in full it will give good title in the Goods to the Buyer; (b) on delivery, the Goods will be free from defects in material and workmanship which make the Goods of unmerchantable quality as that term is construed by suppliers of goods of the description of the Goods; (c) on delivery, the Goods will conform to the description provided. The occasional small variations may occur in the manufacturing process. (d) the Services will be provided in a proper and workmanlike manner; and (e) it will comply with all applicable laws and standards and the requirements of all statutory authorities relating to provision of the Goods and/or Services, PROVIDED THAT this warranty does not apply if: (f) the Goods are incorrectly used or are abused in use including, failure to lower or remove the Goods from installation in windy conditions; and (g) The Buyer carries out the installation of the item(s) themselves and damages the item due to failure to follow instructions which would have extended should Popup Marquee contractors have carried out the installation. Furthermore, this exemption extends to any resultant damage to either the item(s) itself, surrounding property or injury to any person(s) which may result. (h) Warranty claims are voided if products are used in a manner contrary to manufacturers/importers stated terms of guarantee or are modified or altered in any way. (i) Popup Marquee is providing certain goods/services pursuant to an engineering certificate issued by a third party to the Buyer or Popup Marquee and the Goods and/or Services comply with the specifications in the engineering certificate. 9.2 Warranty does not extend to product or property damaged as a result of unusually severe weather conditions including; hail-storms, snow-storms, strong winds and heavy rain. 9.3 This warranty expires in respect of all defects appearing in the Goods 3 months or more after delivery of the Goods unless otherwise specifically stated. Popup Marquee is not liable for the costs of return or redelivery of Goods. Popup Marquee is not liable for costs associated with dismantling and/or re-installation. 9.4 Popup Marquee offers a 7 day returns policy on all our items with the exception of made-to-order, custom-made or screen-printed items. Goods must be returned to Popup Marquee in new condition. Goods damaged or used may be not be accepted back into stock or may incur a restocking fee which will be advised by Popup Marquee staff. Ex-demonstration, second-hand or damaged stock will be sold with a different returns policy. Buyers should check to ensure that you are happy to purchase these goods on the basis they are offered prior to purchase. Return goods must be undamaged, in new condition and be returned in their original packaging. The consignment note number must also be provided. The buyer must complete a Return/Damaged Goods Form along with the goods. 9.5 If the Buyer claims that any of the Goods and/or Services do not conform to the description given, have been short delivered or are defective or there is a breach of any term or condition of the Contract in respect of the Goods and/or Services: (a) the Buyer must give written notice to Popup Marquee within 7 days after delivery of the Goods and/or provision of the Services and preserve the Goods intact and available for inspection by Popup Marquee’s representatives; (b) if the claims of the Buyer are correct and either the Goods and/or Services are not of a kind ordinarily acquired for the intended purpose the Buyer is not a consumer as that term is defined in the Trade Practices Act or any corresponding and applicable State laws, the remedies of the Buyer are limited to such of the following as Popup Marquee may elect in its absolute discretion: (i) replacement of the Goods or supply of goods equivalent to the Goods; or (ii) payment of the cost of replacing the Goods, and (iii) providing the Services again; and (c) Popup Marquee will not be obliged to accept return of the Goods unless required by the Contract or under Federal law or State law. 9.6 Popup Marquee is not liable for any consequential, special or contingent damages, losses or expenses in connection with Popup Marquee’s failure to perform any obligation under the Contract or use of the Goods unless such damages, losses or expenses are incapable of exclusion under Federal law or State law. 10.1 Popup Marquee is not liable for any failure to perform or comply with any term or condition of the Contract if that failure arises from any circumstances beyond Popup Marquee’s reasonable control, including, without limitation, assumptions in the quotation, lockouts, strikes and other labour disturbances (the settlement of which is at Popup Marquee’s absolute discretion if it is a party), acts of God or the public enemy, piracy, war, terrorism, riot, civil commotion, acts of government agencies, earthquake, storm, tempest, fire, lightning, unavailability of insurance at reasonable cost and non-delivery of materials from Popup Marquee’s usual sources of supply. 10.2 Nowhere in the quotation or order price does Popup Marquee imply or offer any price or advice as to the installation of any product. This is a totally separate matter and is the sole responsibility of the Buyer. Furthermore, the installation of any product provided by Popup Marquee is a matter for the buyer and any warranty or maintenance claims resulting from any aspect of installation are between these parties and not with Popup Marquee. 10.3 In respect of the colour of goods, Popup Marquee makes every effort on its website to display the colours accurately. 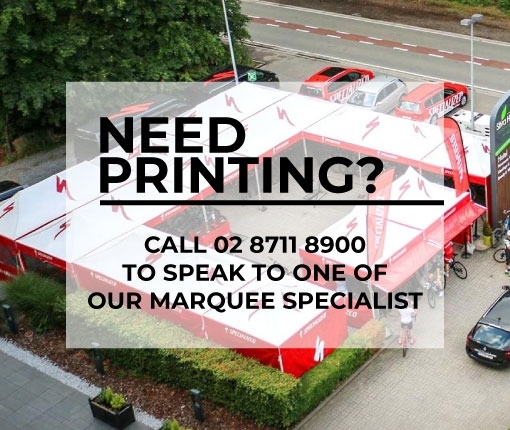 If the buyer is in doubt as to the exact nature of the colour, Popup Marquee can provide exact samples. If the Buyer obtains the goods on a custom-made or made-to-order item(s) and they are not as the Buyer thought, Popup Marquee is not obligated to accept their return or offer a replacement or refund of the goods. 10.4 If Popup Marquee does undertake to organise or provide installation services, these will come under a separate agreement or contract. 10.5 Errors in the Contract or any invoice must be corrected and any necessary adjustments made between the parties. 10.6 Should any provision of the Contract be or become unenforceable or void in any jurisdiction either in whole or part for any reason, that provision is deemed to be deleted from the Contract in respect of that jurisdiction alone without in any way affecting the validity or enforceability of any other provision or that provision in any other jurisdiction. In such circumstances, Popup Marquee may substitute another place for performance of its obligations for the purpose of making the Contract valid and enforceable. 10.7 Any obligation imposed on more than one person, binds all combinations of them jointly and each of them severally. 10.8 The Contract is not a sale by sample, even if any materials or things are exhibited or inspected by the Buyer. 10.9 No party will be obliged to agree to any form of arbitration of any dispute in connection with the Contract.